This week I will be working on a quilt for a new baby grandson that was born into our family in November. 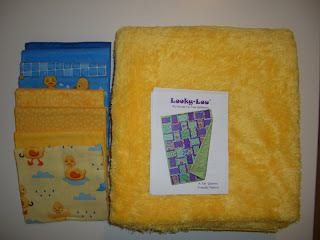 The pattern is a called Looky-Lou, by Pressed For Time Quiltworks and is super simple. 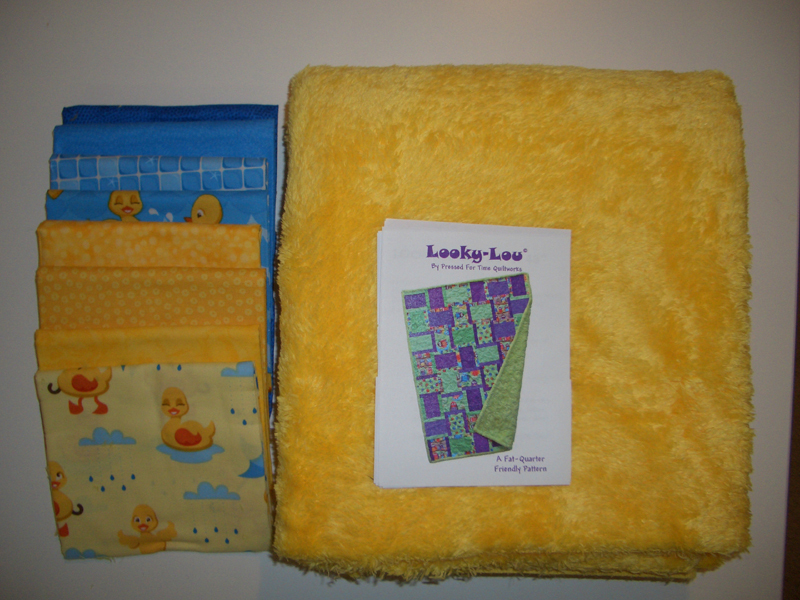 The backing is the yellow minkie- I really love using minkie for baby quilts. What are you working on this week? For inspiration check out all the other design walls at Patchwork Times. Trying Minkie is on my to-do-list. Looks like a fun quilt! I've never used Minkie either!